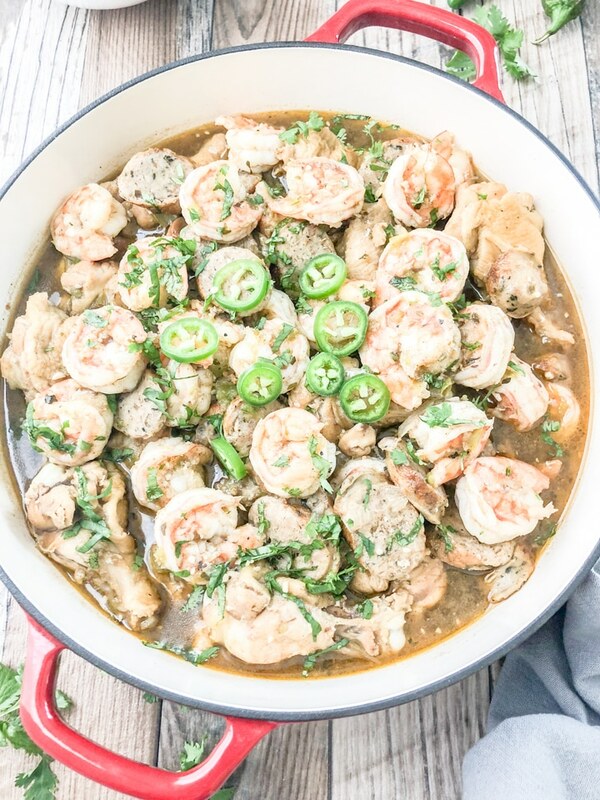 Chicken Sausage Shrimp Gumbo – There’s absolutely nothing like it. 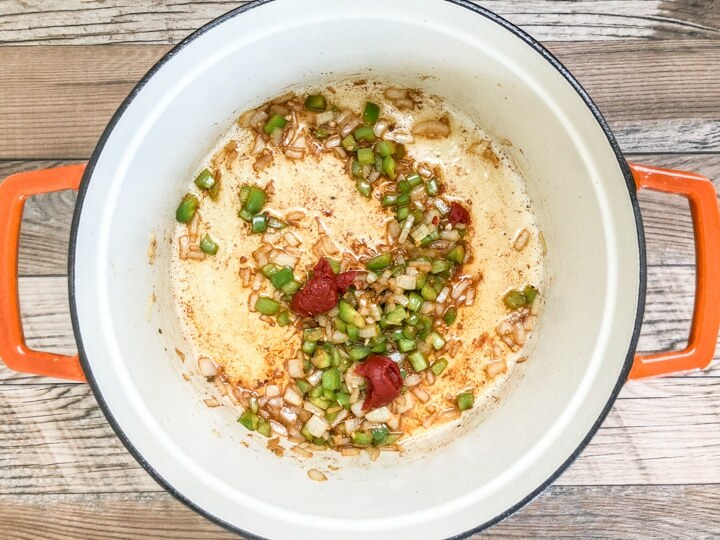 Today, I’m sharing my super quick and easy gumbo recipe that’s also Whole30-Friendly. I know, I know you’re probably thinking super quick and easy yeah right. But, I promise, this recipe will not disappoint especially if you’re looking to satisfy your gumbo craving during the week or for a special weekend dinner. It’s loaded with mostly all the ingredients in a traditional gumbo minus the crab and the roux. Wait, let me finish don’t get alarmed. Just allow me to explain. 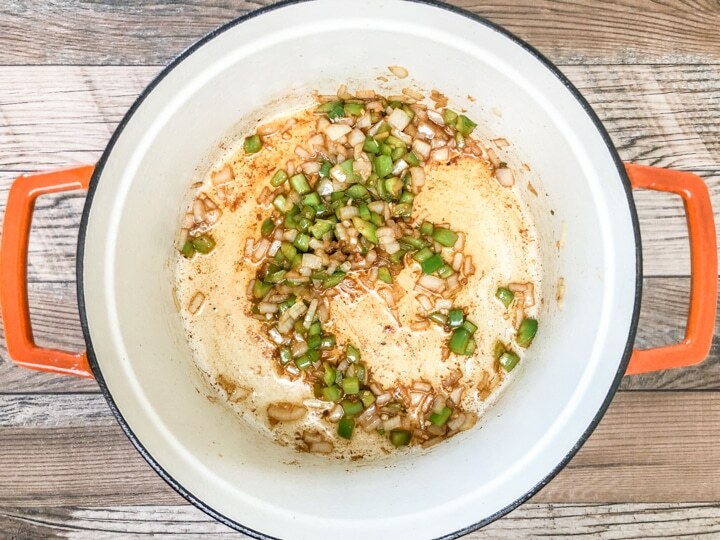 Yes, it’s true that a luscious and flavorful roux is the essence to a great gumbo, but the richness and depth of flavor of this gumbo recipe is absolutely delicious. I pinky swear. 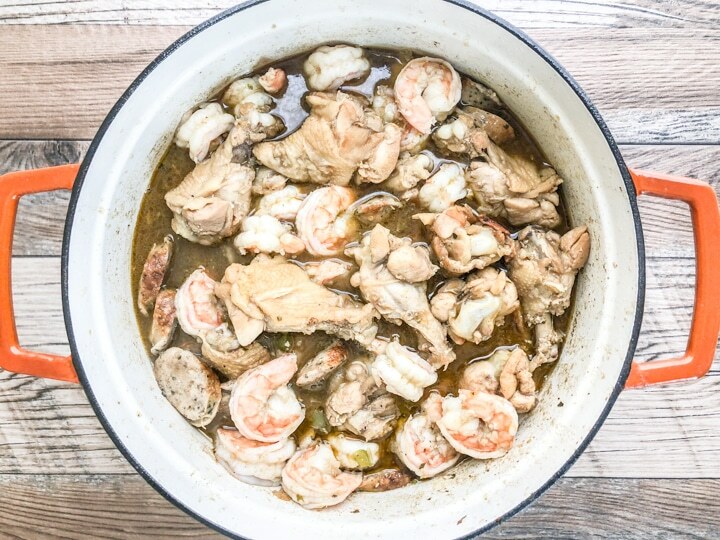 So, Let me tell you about this easy Chicken Sausage Shrimp Gumbo recipe. Oh, by the way, I do have a great recipe for a more traditional gumbo recipe which I will link down below. You may have read that I completed my first Whole30 this past Spring. If you haven’t, please feel free to read about my journey under ‘LifeStyle ‘ as it was such an awesome experience. 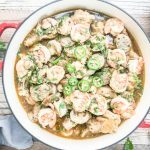 This Chicken Sausage Shrimp Gumbo recipe is definitely inspired by my Whole30 experience. However, before I get into the specific ingredients on how to make this pot of deliciousness. I must mention that this recipe is Whole30-Friendly and not Whole30. Since my Whole30 experience, I haven’t wanted to completely go back to the way I use to eat instead I decided to eat Whole30 about 80% of the time. This has worked for me and makes me feel really good about my body and overall health. The ONE ingredient in this recipe that wasn’t Whole30 was brown rice flour which I used to make the slurry for thickening the gumbo. I didn’t have Arrowroot which is a Whole30 compliant thickener, so I used what I had on hand. If you’re on the Whole30, you would just swap out brown rice flour or cornstarch for Arrowroot. As you can see from the ingredient list, there is know reason to feel intimated by the thought of making a delicious pot of comforting gumbo that you and your family will absolutely love. By the way, if you’re looking for a more traditional gumbo. You must check out my Seafood Chicken Gumbo Recipe. I’d love to read your comments in the comment section below. A star rating would also be very much appreciated. If you love Pinterest or Instagram, I’d love for you to follow me. More importantly, thank you for visiting my blog. Chicken Sausage Shrimp Gumbo is comfort food at it's best. This easy recipe is seasoned to perfection and full of shrimp, chicken, and sausage in a rich and flavorful sauce. 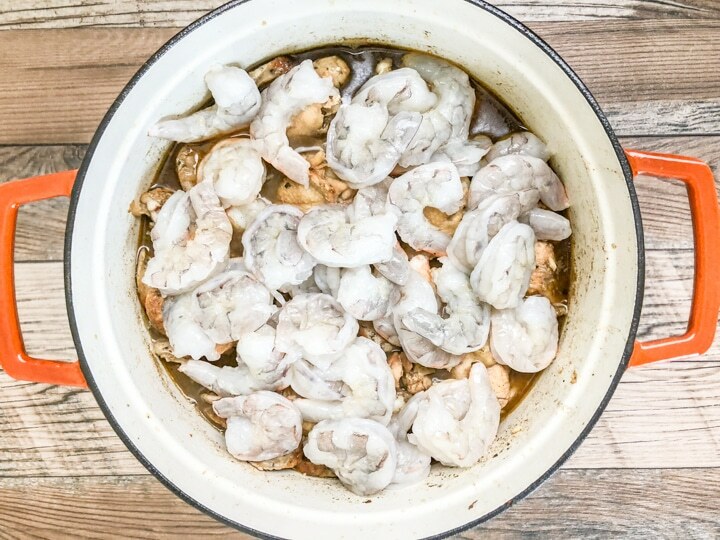 Wash chicken drumettes, clean shrimp (pat dry BOTH with paper towels). Set aside. Dice veggies and slice chicken sausage. Set aside. 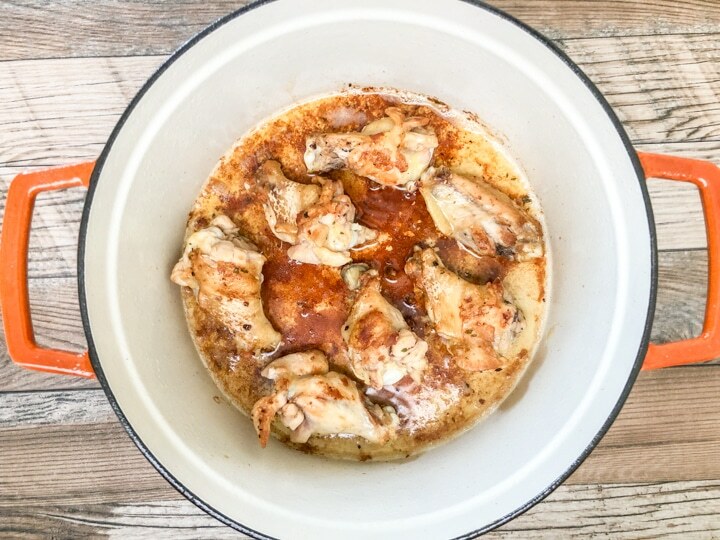 To a dutch oven, skillet or pot, add extra virgin olive oil, when hot brown chicken drumettes in batches. DO NOT WORRY ABOUT COOKING THROUGH at this point. 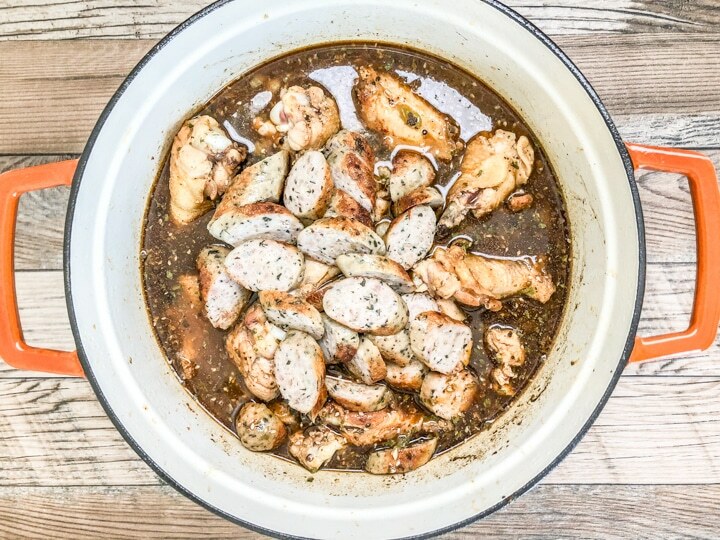 Remove browned chicken drumettes from skillet. Set aside. If skillet has too much oil, remove some of the oil. Add onion, bell pepper, and garlic and saute for a minute or so. Add tomato paste and continue to saute for an additional 2 to 3 minutes. Deglaze skillet with chicken broth and water. Add gumbo file and other seasoning of your choice. BE SURE TO SEASON WITH SALT and other seasonings of your choice. (DURING THE COOKING PROCESS TASTE ALONG THE WAY AND ADD MORE GUMBO FILE OR OTHER SEASONING FOR DESIRED TASTE. Add in browned chicken drumettes and sliced chicken sausage and let simmer and cook down for at least 30 minutes. IF NECESSARY ADD MORE LIQUID. Create a slurry and add to skillet to thicken. Continue to simmer until you've reached desired taste. OPTIONAL: Garnish with sliced parsley, cilantro and/or jalapenos and top with hot sauce. Make this dish Whole30 by using Arrowroot as a thickener. Make sure you choose a sausage that is Whole30 compliant or Paleo. You can use beef, chicken, or pork sausage. I prefer chicken. 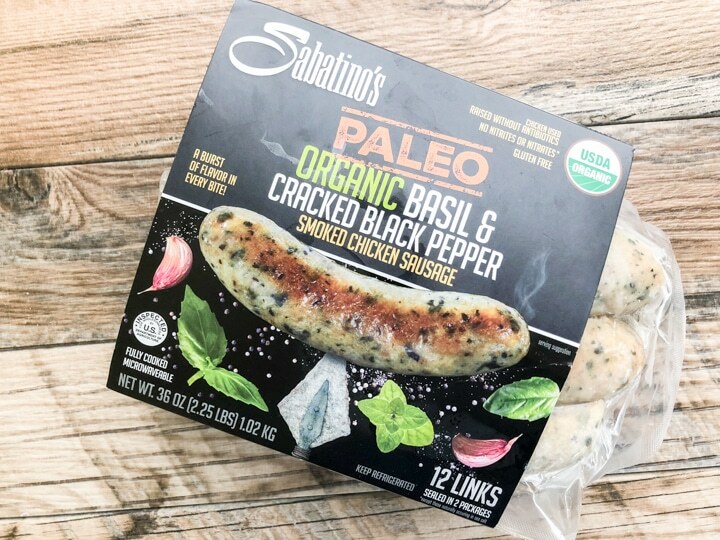 The use Paleo Organic Basil & Cracked Black Pepper Smoked Chicken Sausage by Sabatino or you can try Applegate.